How many players can play Dragon's Crown locally (couch co-op)? How many players can play Dragon's Crown via system link or LAN? How many players can play Dragon's Crown online? Is there cross play/cross buy/cross save between the PS3 and Vita? How do you begin a co-op session in Dragon's Crown? How long does it take to unlock online co-op in Dragon's Crown? How do I invite friends/join an online game? Can I join a game if the host is further along than me in Dragon's Crown? How do the level caps for each difficulty level work? How does story progress work for co-op play in Dragon's Crown? How is Gold/XP/Loot distributed in co-op play in Dragon's Crown? The PS3 version supports four player local co-op. The Vita supports four player local co-op via ad-hoc. The Vita supports four player local co-op via ad-hoc. Both the PS3 and Vita versions support four player online co-op. The PS3 version supports up to four players in combo co-op. There is no cross play and cross buy. Cross save is supported. Players can upload and download save data between the PS3 and Vita. 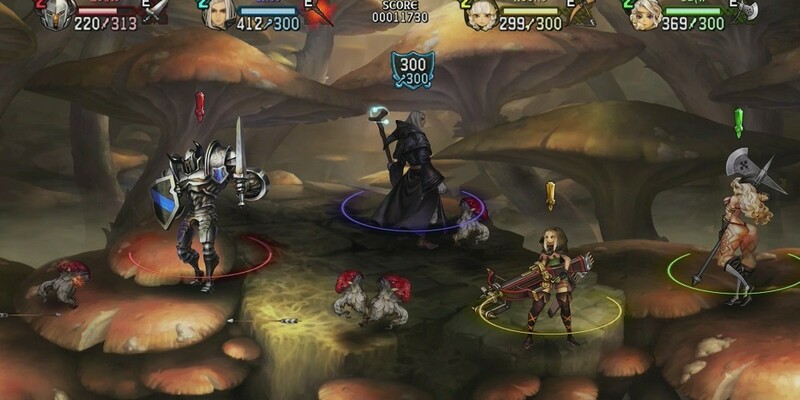 Update: As of October 15th, 2013 a patch has enabled cross-platform play for Dragon's Crown. In the PS3 version, local co-op can be initiated from the character selection/creation screen at the beginning of the game, or anytime in between quests when accessing the Tavern. Additional players simply have to press start on additional controllers. Online play for both versions (including ad-hoc in the case of the Vita) must be unlocked by completing the nine basic stages. Once the nine stages are completed, players can initiate network play in the Stables or at the Gates. Now random players or friends can drop into the game session. In our testing the time ranged between four and a half to six hours of playtime until we were able to access the online component of Dragon's Crown. Each subsequent play through should take about two hours. There is no in-game option to invite friends to a session. Once the option for online play has been unlocked players can enter the Stables or Gate and open a menu which allows them to view friends who are currently online. From there they can join their friend’s game or a random game. Locally: Yes. Simply have the host return to the Tavern and join the game. Difficulty levels don’t seem to be a factor. Online: Yes, so long as you've completed the first nine stages and are playing on the same difficulty level. A character who has not defeated “Normal” mode cannot join a “Hard” game, but a character playing in the higher difficulty levels can join a “Normal” game. If a higher level player joins a lower level player, the higher level player’s stats will be temporarily reduced to the level cap of the lower level character’s game difficulty. “Normal” mode is capped at level 35. “Hard” mode is capped at level 65. The final difficulty level is capped at 99. Once players have beaten the game they can reduce their difficulty level using the Pray menu at the Temple. All local players of the PS3 version belong to the single logged in PlayStation Online ID. Story progress is tied to Player One’s character, so be sure to have the character with the lowest story progress fill the Player One slot. Other characters will get credit for completing levels, so long as they’ve completed the previous levels. This is necessary only in the first nine levels and only applicable to local co-op games. After the initial nine stages have been completed the “new” levels can be tackled randomly. It doesn’t matter which order they are completed. Online play must be unlocked by finishing the first nine stages. Once it’s unlocked stages can be played in any order. Side quest and stage completion is saved to each individual character. In local co-op all Gold is pooled between players no matter who picks it up. XP is derived from the group score but small bonuses are awarded on an individual basis. Loot is pooled between the players as well. Every player is awarded Loot no matter who commands Rannie to open a chest. The number of items and Loot rank will be the same for each player, but the actual items themselves will be tailored to each character. In online play each character is awarded their own XP. Once again, Gold still seems to be pooled. Everyone gets the same amount (but different types) of Loot. Players will receive their rewards when a play session ends. If a players quits out of a session early they will still receive the Loot, XP, and Gold they earned up to the point of the session ending.